As parents, we are our children’s first teachers. While we have many roles as parents, teacher is one of the most powerful roles we play. While we unconsciously teach our children new things on a daily basis, we can also make a conscious choice to teach our children and to foster a love of learning in them so that they are eager to be life learners. If it’s your desire to foster a love of learning in your children, consider these tips. 1. Encourage your child to actively explore their world. Children learn through exploration. Provide safe opportunities for your children to interact and discover their world. Our children’s primary more of learning is through play. Play games and do activities that center around your children’s interests. 3. Create a home that encourages learning. Provide age-appropriate toys and activities that encourage learning through play. 4. Share your love of learning. Let your children see you reading and communicate your love of learning to your children. 5. Read to your child daily. 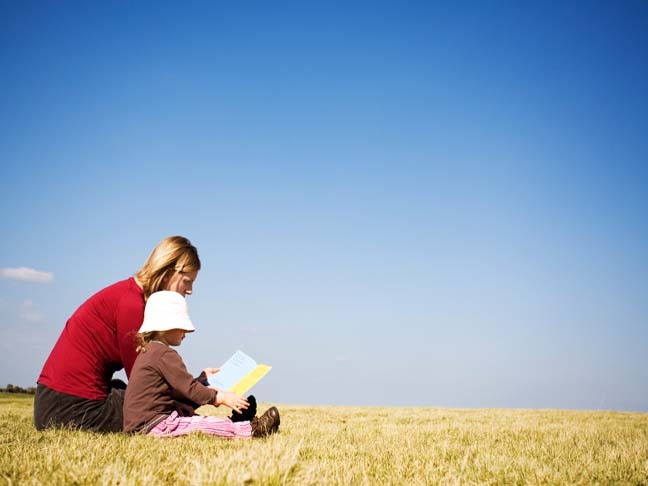 Set aside a few minutes each day to read to your children. Be sure to choose books that capitalize on your children’s interests. 6. Give your child choices. Making good choices is a part of learning. Making decisions helps your children hone their thinking abilities. 7. Visit places that interest your children. Go on outings to farms, zoos, the library and more. Even a walk outside provides your children with opportunities to learn something new. Praise your children for being creative. Encourage your children to color and to do arts and crafts. Promote imaginary and open ended play. It can be tempting to ignore the continuous chorus of “What’s that?” but don’t. Answering your children’s questions can help them learn. 10. Value education, learning and knowledge. Praise your children when they demonstrate that they’ve learned something new. Show them you’re pleased when they learn new skills or gather new information.